CreateInstall – installer made by Russian company. Also available freeware version. Nothing mentioned about Access – but I guess it should work, as with any other installer. It can happen that Exchange server get crashed, together with active directory, and you have only access to OST file, as a file. What you can do? There is a Recovery for Exchange utility, which converts OST file to PST. If you know other tools, which works for you – please let me know in comments. 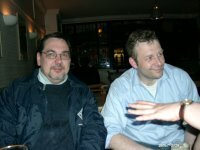 Recently I was contacted by Karl Donaubauer, Access MVP, who assisting both German and Italian Access community. He mentioned that it was a discussion in Italian Access newsgroup about iTechMasters MDE to MDB Conversion Service. Italian colleagues guess that it's a difficult and time consuming task for iTechMasters to get the source code out of the MDE, and they think that an MDE is still safe because it would be very expensive to get the source code out. So I decided to make one more test. And we asked in newsgroups to prepare a test MDE with 10 VBA modules. sometimes loops and other structures are replaced by different versions:Do Loop --> While Wend, Select Case --> If Then etc. Nothing that would change the behavior of the app. BTW, now iTechMasters offers a MDE Unlocker, so you can get access to forms design instantly by yourself. And finally – some good news. Currently iTechMasters working on MDE protector, which helps to make MDE more protected from reverse engineering or decompiling. strResult = strResult & ";"
Thanks to our reader Bob, who pointed to this issue! DoCmd.CopyObject strDestinationMDB, "Form1", acForm, "Form1"
Microsoft has published a nice demo on Access 2007, which shows benefits upgrading to it. But unfortunately – it is mostly focusing on moving from Excel to Access. More details on new features you can find at Top 10 Benefits of Microsoft Office Access 2007 page. 2 weeks ago I was in Cambridge, UK, on MVP Open Days. It was great! Ok, one night we had an opportunity to drink a beer with Clemens Vasters in a pub, who recently joined Microsoft and now working in WCF area. So we had a good chat (and good beer) with our Russian MVPs, who are mostly .Net developers. Then he asked me, what is my expertise – Access, oh, Access, you know – Jet is dead! ??? The further questions brought some light on this – Clemens personally thinks that Jet does not have future, the only database engine should be SQL Server. Well, I can not agree with Clemens, I think Jet is a great engine, and looks like Access product team thinks the same way, as you can see in Erik Rucker blog. Or, perhaps, the name Jet is dead, but engine will get a new life under new name? Howard Tanner, a guest author in ACCESS Watch, put some light on Regular Expressions syntax in last issue. Must admit that RE syntax was always unfamiliar to me, so I found this article quite useful.